Thanks to our many volunteers, we have surpassed 32,000 photo observations on iNaturalist! We owe a lot to our many volunteer photographers and identifiers. Without you, we would only just be getting started surveying Ohio. In comparison, the survey in the 1990’s only had about 30,000 records, including numbers extracted from older publications. In two years, were were able to double a decades worth of work! For those reading this blog, but not getting the emails, photo and specimen observations are due December 1st of this year. Anything submitted after that might not make it onto next years maps, but we still want your observations regardless of submission date. Jim Lemon and I published a short note in Argia 30:3 about some weird oddities. 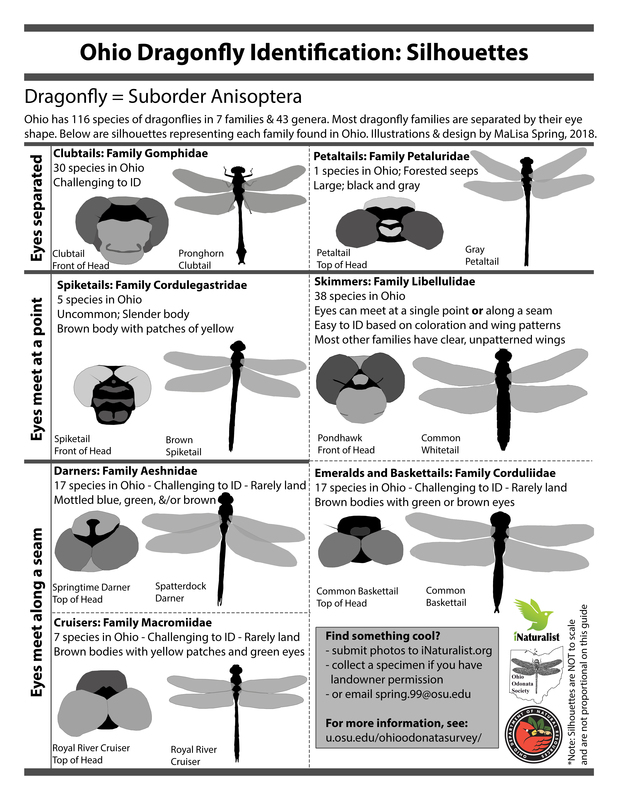 A population of Jade Clubtails and Paiute Dancers were found in Ohio. 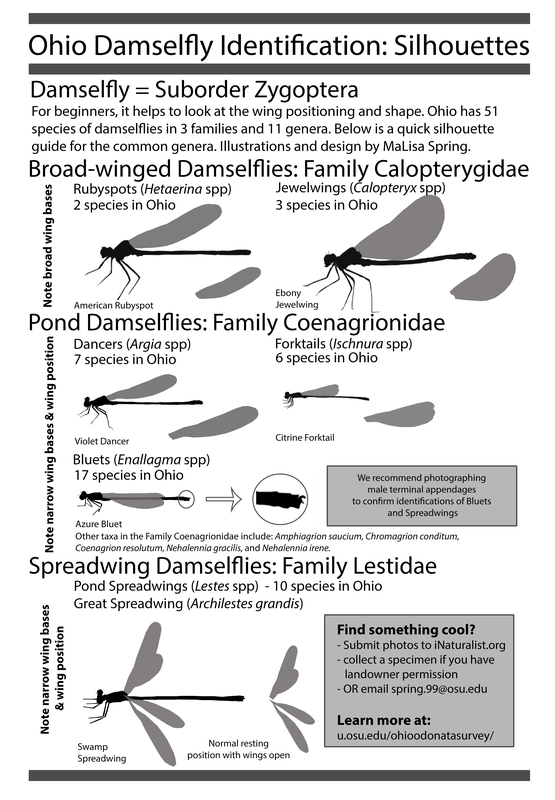 We also had weird errant records of one Scarlet Skimmer and Rambur’s Forktail found at aquatic plants distributors. Lots of other cool things were found this year, so I recommend reading the full article. This Scarlet Skimmer is our first “non-native” dragon that originates from Asia. A large population is known in Florida, but not many have made it outside of the state so far. I have been trying to visit locations across the state, both to survey and spread the word so others know to submit observations. Thus, last year I made several outreach materials, which can be found on the resources page. 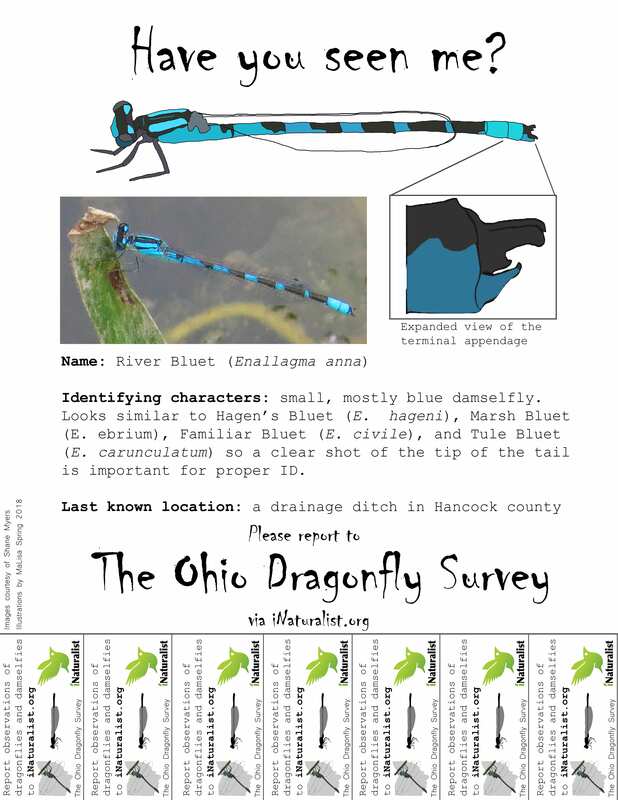 These include things like wanted posters, silhouette ID guides for damselflies and dragonflies, and links to presentations from past years. Since the weather has cooled down, I have started on more outreach materials. The first of the series is below, but there will likely be more graphics changes to make them look more appealing, and hopefully get parks to post them up on boards. Anyways, that is all for now. If you have any specific requests or questions, feel free to reach out to me at spring . 99 at osu.edu. ← New Season, New Resources!